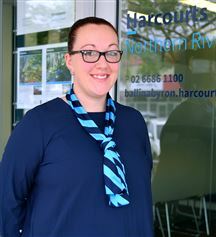 The Manager of Harcourts, Natalie has extensively worked within the Property Management industry for 20+ years. Natalie has won many significant industry awards over the years including ‘Property Manager of the Year’ in various years from 1999 - 2013. Natalie’s position is to oversee every facet of the business and to ensure that you are receiving the very best service. Natalie is constantly monitoring the staff and implementing new systems, enabling the business to run smoothly. Steve Leslie has been in the industry for just under 30 years and is committed to having the most qualified and committed Real Estate Team in the Northern Rivers. Steve has been involved in several major franchises over the years and has gained experience from each business model. 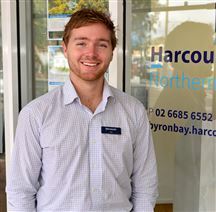 He is now the proud owner and licensee of Harcourts Northern Rivers/Ballina. Whilst the market may differ, the fundamentals of selling property remain the same. Steve believes the keys is to really listen to his clients. His market prowess, negotiating abilities and diligence ensure his clients consistently achieve outstanding results. His excellent communication skills have allowed him to establish an extensive database of clients to which he is actively adding on a daily basis. A passionate and enthusiastic professional who is accustomed to success, Aiden brings a wealth of experience, a love of people, and an unmatched work ethic to his Real Estate career. With a highly successful track record and low average days on market, Aiden believes that honesty, transparency, empathy and total professionalism are essential to achieving the best possible sale price for his clients. Hard working and organised, Aiden's background in hospitality as an International Chef has proven to be a real asset for those he assist in Real Estate today. Living and working in many countries has credited Aiden with an understanding of a diverse range of cultures, and he believes that this experience has made all the difference when negotiating a sale for his clients in today's competitive marketplace. A self-confessed workaholic with an ability to think outside the square, Aiden prides himself on recognizing his clients' needs and being instrumental in ensuring they are met. He specializes in private treaty and auctions sales and is committed to not only achieving the highest price for his vendors, but ensuring that the entire process is stress-free and enjoyable from start to finish. 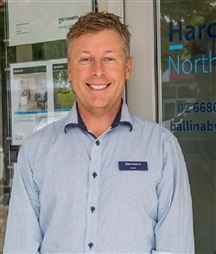 Country born and bred, Brett comes to the Harcourts team with over ten years’ experience as a Licenced Agent and Sales Manager of a regional real estate group. Over that time Brett established a reputation as an agent who goes the extra mile to get the best results for his clients, someone who gets involved and shares their journey. As a result he was honoured with numerous awards including No.1 Sales Agent for 7 years running. Brett lives and breathes real estate – “Real estate is more than a career to me, it’s my lifestyle choice”. From managing people's investments to helping people move, his attitude is one of service and care. Brett’s primary goal - “Helping people make good decisions to achieve their real estate goals” through careful planning, professional communication and personal care. Brett’s ultimate reward - knowing those clients tell everyone they know how happy they are. Having the support of such a strong and professional team helps make it all possible. You know the voice – now meet the Agent! There’s no doubt you’ve heard his voice – on radio and television. Now is your opportunity to put a face to the voice. 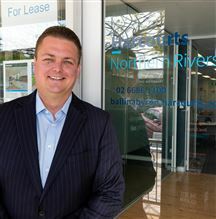 Harcourts Northern Rivers are pleased to announce that Scott Vincent has joined the team, as a Ballina Sales specialist. For 30 years’ Scott has been at the forefront of the customer service industry. He is a multi-award winner for his ability to build rapour and deliver consistent high quality service to each and every client he comes in contact with. With Scott you will always know where you stand – professional, ethical and honest. After frequenting the area for approx. 20 years –Scott has become an owner occupier and investor – so he has a strong interest in the local real estate scene. Scott is a perfect fit for the team at Harcourts – with our Values being at the core of who he is – People First, Doing the right thing, Being Courageous, Fun & Laughter. Scott is an avid surfer and you will find him regularly on the wall – where he will be checking the surf and chatting with the locals. So, if you want to hear that famous twang again – give him a call! Brought up in the Northern Rivers, Tim has spent the last four years honing his sales skills. Embracing the lifestyle of the Northern Rivers, Tim has always been heavily involved in local sporting clubs including Rugby League, Rugby Union, Cricket and Soccer. He is an out-and-out competitor, whilst still humble on and off the field. Tim brings the same level of professionalism, dedication and integrity to Real Estate, along with his passion and competitive edge. He is excited about the future growth and expansion of the Northern Rivers and is committed to helping the people and community with this transition. Tim understands that everybody’s situation and motivation are different. A young man with core values, proud to be a man of his word. So if you are looking for a strong negotiator who can get you the highest price for your property, Tim’s calm approach and positive attitude towards high-pressure situations, enables him to be a winner, every time. Providing unmatched customer service and genuine passion for property management, Courtney Kibble is a Senior Property Manager with Harcourts. For over 10 years Courtney has worked face to face with clientele on a daily basis, she is privileged to play an integral role in the life cycle of a client's most prized possession. Her outstanding attention to detail and 100 per cent honesty set her apart from other property management personnel. Courtney's commitment to six star customer service is directly aligned with Harcourt's high standards, making her a perfect fit. 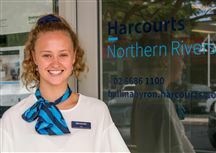 Following in the tradition of exceptional customer service, Steve & Natalie's eldest daughter Jessica has been a part of the Harcourts team for several years. Her smiling face will be on hand to greet you whether you call into the office or walk in. Following in the tradition of exceptional customer service, Steve & Natalie's youngest daughter Keira-Lee has joined the team as the weekend support person. Her smiling face will be on hand to greet you whether you call into the office or walk in. The bright a happy face that will greet you when you enter our office - and the bubbly voice that answers your call - belongs to Tani. She has a passion for real estate and has long dreamed of entering the industry. 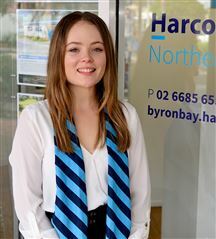 With her sights firmly set on a career in real estate Tani is the perfect addition to the Harcourts Team. Live the dream in paradise! Oh My God - The Location!